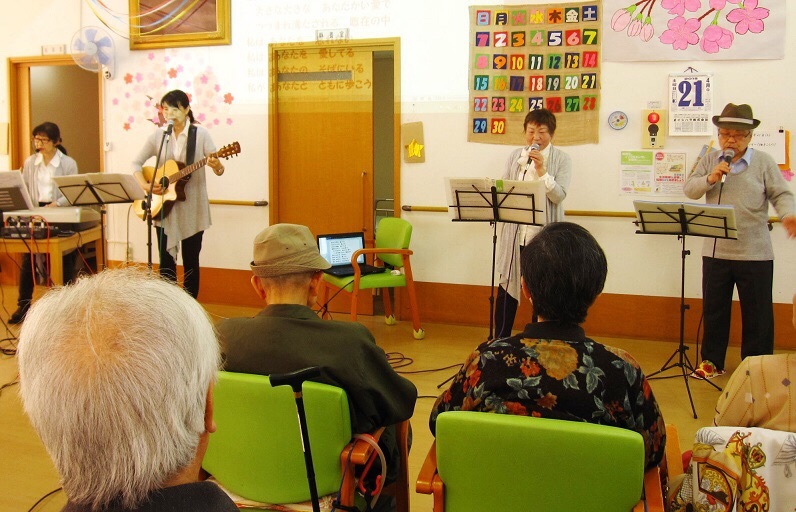 Fuji Praise band held an hour concert at a day care service in Mishima on Saturday, 21 April from 2 pm. 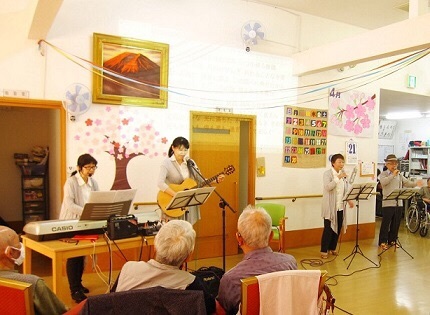 They praised “Bokyo”, “watashi wa aisareteiru” and so on, mixing with folk songs. 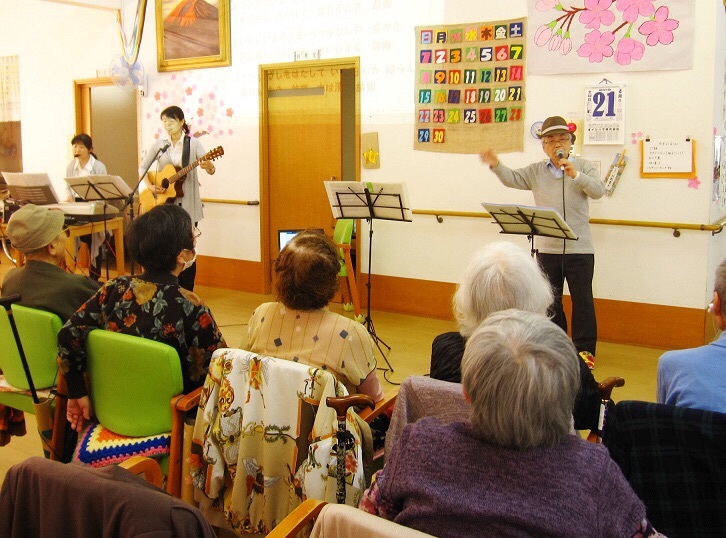 Gospel seemed to touch their heart, when they saw people nodding while listening to “JOY”. The facility was very friendly to us and concert itself, and gave us their offer, knowing that all the members are Christians. We are visiting them in July. We give thanks to the Lord who blessed us.